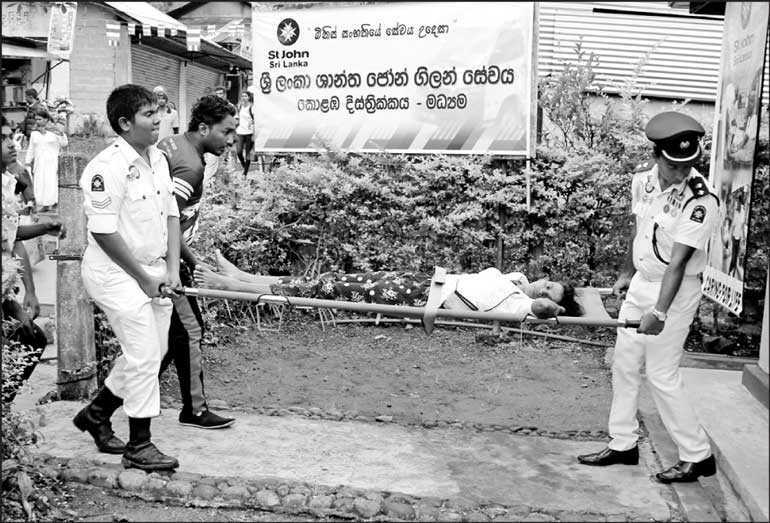 A four-day first aid and medical camp, organised by the Colombo Central Unit of The St. John Ambulance Association and Brigade in Sri Lanka was held at Gangulathenne, Sripada from 2 to 4 February. The event ran parallel to National Day. Nurses of the Accident Service of the Colombo National Hospital participated to provide medical needs for the pilgrims. 65 participants including six nurses, four EMT officers, two teachers and 53 first aiders voluntarily participated at the camp. The team provided all the first aid and medical assistance within 24 hours to make the pilgrimage of the devotees comfortable and happy, by reducing their aches, pains, accidents and sudden illnesses throughout their journey.